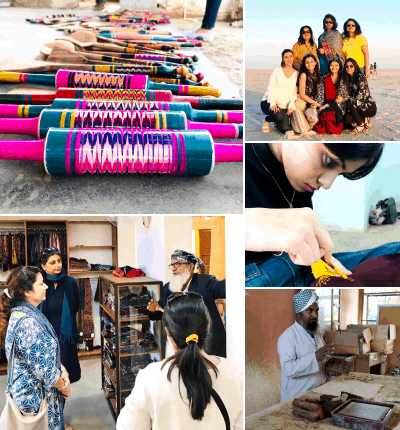 The Crafts Study tour to Bhuj was an incredibly rich, immersive experience for the Sophomore and Junior year Fashion Design students. Not only did they get hands-on experience in crafts like Rogan Art, Copper bell-making, lacquer work and leather craft, they also learned about the rich creative communities of Kutch through museum and market visits. Of course, the beautiful geography and spirited people of Kutch made sure we took back with us many beautiful stories, memories and inspirations.